William A. McNabb, age 95, resident of Oakland and husband of Barbara McNabb, departed this life Wednesday morning, November 7, 2018 at the Veterans Administration Medical Center in Memphis. A Funeral Service with Military Honors for Mr. McNabb was held at 2 P.M. Monday, November 12, 2018 at the Peebles West Funeral Chapel at Oakland with Bro. Carl Doyle of Oakland officiating. Interment followed in the Oakland City Cemetery. Arrangements were provided by Peebles Fayette County Funeral Homes & Cremation Center – West Chapel at Oakland. Mr. McNabb was born February 27, 1923 in Somerville, Tennessee. He was a graduate of Fayette County High School and served his country in the United States Army as a young person. He was a member of the Landmark Baptist Church in Somerville and was married May 20, 1997 to the former Barbara Hall. Mr. McNabb was employed as a warehouse manager for many years before his retirement and he enjoyed vegetable gardening, farming, raising hogs and special times with his grandchildren. 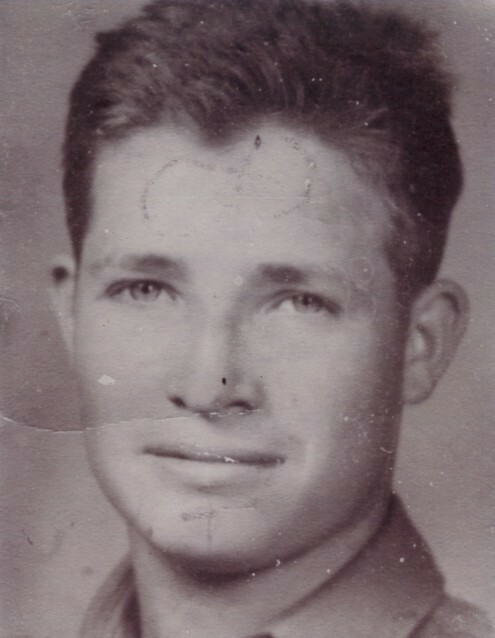 Mr. McNabb is survived by his wife, Barbara Hall McNabb of Oakland, TN; three sons, David McNabb of Byhalia, MS, William McNabb (Lori) of Corona, CA, Harold McNabb (Bonita) of Garden Grove, CA; two stepdaughters, Barbara Bratchi (Roger) of Big Sandy, TN, Debra Kimler of Parsons, TN; four stepsons, David R. Hall of Big Sandy, TN, Andy Hall (Barbara) of Oakland, TN, Terry Hall of Oakland, TN, Kenny Hall of Oakland, TN; seven grandchildren, Brandon McNabb, Allison McNabb, Shannon Duncan, Sharlene Sullivan, Lorna Weston, Gwynneth McNabb, Maureen McNabb; thirteen step-grandchildren and a host of extended family members and friends. He was preceded in death by his parents, William McNabb and Lorina Smalley McNabb; and his infant daughter, Lila Ruth McNabb. Those honored to serve as pallbearers were Brandon McNabb, Josh Hall and David Hall.